Learn my tricks for holiday budgeting that will make your entire holiday season so much more enjoyable! Forget the stress, and don't get stuck paying holiday bills all January. I love the end of the year. The cooling off of hot Houston temps (in our home we affectionately call this “Hoodie weather” because we get to pull out our college hoodies and wear them). Fires in our fireplace. The crinkling of acorns and leaves under our son's stroller tires when we take him for walks. It's a duo of both time to reflect on the previous year + the promise of a clean slate moving forward. But it can come with stress. Mostly in the form of over-scheduling (for us introverts, especially), extra shopping, and coming up with extra money. I'm going to share with you all of my secret-sauce holiday budgeting tips to make your end-of-year wayyyyy more enjoyable than it's ever been before. Because holiday stress? Is so overrated. How Do You Budget for Holiday Shopping? The holidays and end-of-year time can bring about big changes in your monthly cash flow. And this can go both ways (sometimes one right after the other). You might be going along — spring, summer, then fall — with a budget and cash flow that work well for you. Sure, there are a few snags here or there, a few ups and downs. But things are pretty predictable. It's kind of bi-polar sometimes. Hosting a Christmas party. Deficit. Parents slip me $50 for the holiday. Surplus. Get volun-told to cover something for your kid's school holiday party. Back in the red. Rinse and repeat. So what are some ways to deal with these big changes in your cash flow this time of year? I've got a few strategies for you. You might not know if you are getting a bonus, a cash/gift card gift, or any sort of surplus at the end of the year. But it's a good idea (and kinda fun) to figure out how you'd dole it out in case you do. Remember that a portion of it may go to taxes (particularly if it's a work bonus), and that those taxes may or may not have been taken out prior to you receiving the money. 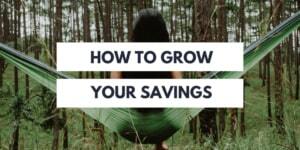 Identify a percentage that you are going to lop into savings, right from the start. Start at 50%, sit with that number, and then ease it up until you feel too much like Scroodge. Make sure the percentage/number you end up with is a stretch outside of your comfort zone. 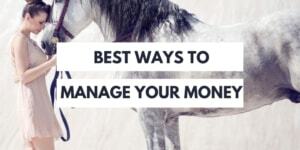 Identify any spending needs in your life that the rest of the money could go for. How could it be used to get the most satisfaction + needs met for you and your family? At the holiday season — barring going into debt — it can pay big time to be a little more fluid in your monthly budgets. If November bleeds into December's budget for groceries, it's okay. Spend a little less on groceries in December to make up for it. You can also be more fluid from week-to-week. I carry surpluses and deficits over from week to week, so if I spend $20 less one week than my Mad Money spending allows, then I have $20 more to spend the following week. If I want to make a big purchase without raiding the savings account, then I purposely set aside money each week to “save” up for it. So if I have a large purchase of, say, $100, I might set aside $25 each week for the month to spend it all on one thing. It's the same concept when eating in moderation. Getting ready for the big Thanksgiving meal, you might skip on lunch or breakfast. Or perhaps the next morning you're still feeling slightly like a blimp in the Macy's Day Parade, so you decide to sit this one out. 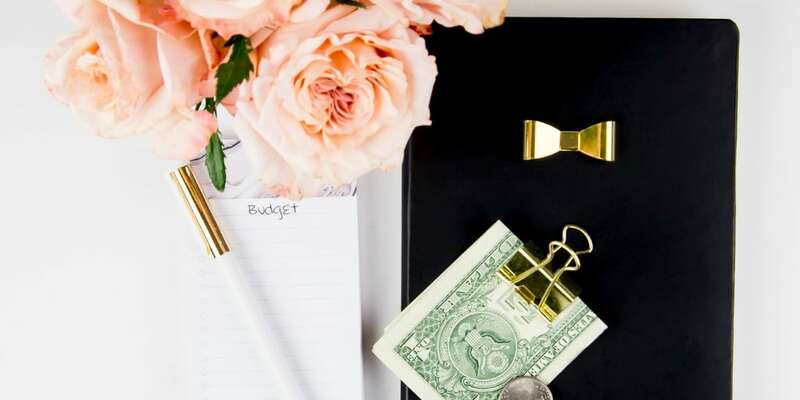 Psst: I've got loads more budget advice you can use year round. Especially with the holidays approaching, you're probably already borrowing from Peter (aka, the grocery budget) to pay Paul (aka, the kid-needs-shoes budget) and then some between gift-buying, social events, and getting ready. If you have lots of social events around the holidays you'll be going to (with food), then purchase less that grocery store trip to uncover some cash for other things. Travelling for the holidays? Put your water heater on “vacation” mode, and turn your thermostats way down/up to save some money there. Leading up to the trip, do an “eat-from-your-cupboards” challenge instead of buying groceries for that week and being tempted to overbuy. Your bell peppers and milk will probably not get fully used before you leave anyway. Shift any purchases you can until the after-holiday clearance frenzy. So, you're here, and it is what it is. While this year you might only be able to band-aid the issue, I'd like to show you how to set yourself up for a financially blissful + less stressful holiday season next year. Do the Retirement Savings Shuffle: Max out retirement savings in 10 or 11 months instead of 12. Two months without contributing to retirement will definitely give you breathing room (hint: don't forget to turn automatic retirement savings back on in January. No cheating!). Open A “Holidays Rock” Savings Account: Designate a savings account for the Holidays/End of Year, and drip feed it $30-$50 per month throughout the year. 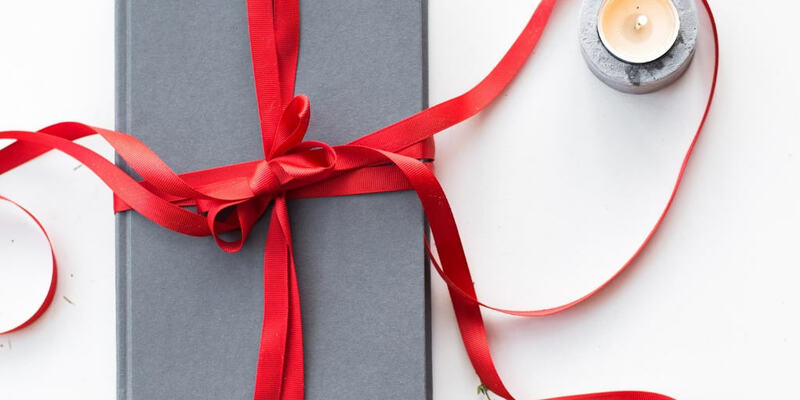 Introduce New (ahem, more realistic) Gift-Giving Traditions: At the end of this holiday season, or perhaps in the Fall of next year, talk to your family and friends about new gift-giving traditions that will be easier on everyone's wallets. For example, the adults in the family could exchange names and only buy one gift at an agreed-upon limit instead of everyone buying everyone a gift. You could have a “Buy Nothing” Christmas where everyone exchanges homemade gifts, or take a thrift store challenge where you and your friends hunt for the best gift possible under $10 (this one is pretty fun!). You could do a white elephant gift exchange at the holiday party. There's lots of options here. Start Your Holiday Shopping WAY Early: I love this one. In our home I have a designated gift cabinet. Throughout the year as I happen upon the perfect gifts for specific people (normally during sales and clearances), I purchase from that month's/week's mad money spending and stash it away. Talk about taking the pressure off in the last few months of the year! Confession: I start doing this in the clearance frenzy of the previous post-holiday season. Holiday stress is NO FUN at all. I experienced it last year, so I would know. Here's my number one way of getting rid of it (hint: prevention). My Christmas strategy is to shop all year round, starting as early as the mind-boggling, after-Christmas sales in January. By shopping all year round I have ample time to find that perfect present for each person on my list — alleviating my holiday stress — I can wait until a coupon and/or sale comes through my door, my December and January budgets are not decimated because I’ve spread the purchases out, and I avoid the mad dash that can make holidays so stressful. Come Christmas season — if I've used this method all year round — then I just have a few gifts to finish up with and the whole gift-shopping experience is leisurely and wonderful. Not only does this method save me a lot of money, but it increases my dollar’s purchasing power and I end up being able to purchase nicer gifts for everyone than if I had purchased all of my gifts at the same time for full retail price. I also can take advantage of the clearance sales at the end of three seasons (winter, spring, and summer) which can really add to my bottom line. Psst: to really do this, you'll need a safe hiding place in your home. I use a corner-cubby hole in our bathroom (no one will look there). Periodically I take a peek at what I've got so that I know who I've already purchased for. It works brilliantly! When JCPenney’s sends out a $10 off $10 coupon every so often and I pair this with the clearance rack at the end of whatever season we are in. Using a coupon for Half Priced Books together with store credit from several books we no longer want. Purchasing crafty toys from Michael’s/Joann’s/Hobby Lobby with the 40%-50% off coupons in the newspapers. The free $5 gift cards I receive from Magazines.com to use towards subscriptions. Going out of business liquidation sales. Sign-up bonuses for shopping sites. Also, many people sell gift cards that they do not want, or cannot use. You can purchase these gift cards at a discount all year round for even more savings on sites like Raise.com and GiftCardGranny.com. If you shop for Christmas all year round, there are a few potential hiccups that I’d like to mention. Clothes for Growing Kids: Purchasing clothes for a growing child can end up being a money-waster rather than a money-saver. Last year I snagged a gorgeous pair of rain boots for an amazing clearance price of $4.99 in two shoe sizes above my nephew’s current shoe size. Come Christmas, he had outgrown them. Expiration Dates: Make sure you look at the expiration dates of the products you are purchasing. Don’t just purchase a product that has an expiration date through January of the following year; give the receiver of the gift some time to actually enjoy it at their own pace. Trendy Kid Items: Trends may go out of style with kids/tweens/teens by the time you give them the gift. In January, high school musical may be all the rage, by December it could have been trumped by Twilight or two-headed purple monsters that squirm when you tickle them (who knows what kids are into these days?). As Seen on TV Product Clearances: Keep your eyes out for popular As Seen On TV products, as they can go on sale if they don't sell as much as anticipated and have excess inventory. Black Friday Time: There are typically some awesome deals between Thanksgiving and Christmas, specifically on Black Friday. You might want to save a few people on your list to take advantage of these sales and not feel as though you overpaid earlier in the year. Or, you could still take advantage of these sales for stocking up on birthday gifts! Who knows how much money you could save from shopping all year round for the holidays. 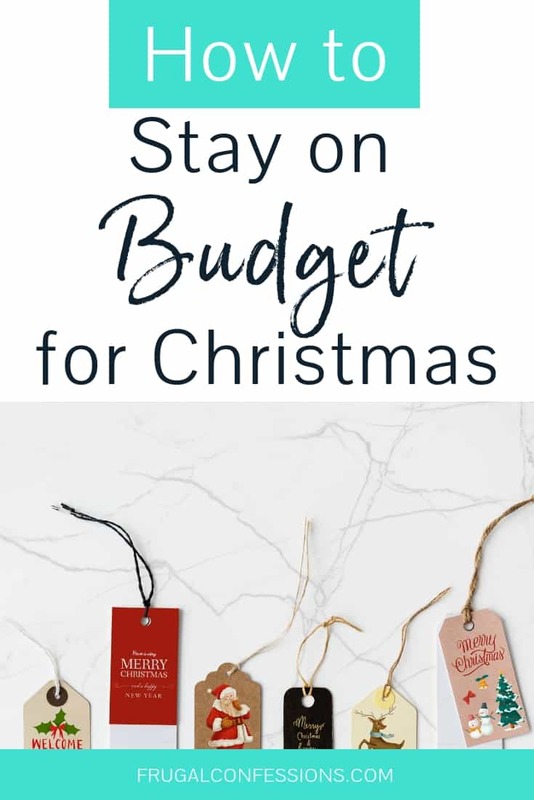 Penny from the Saved Quarter was able to spend just $100 on Christmas last year because she shopped all year round using many frugal strategies we’ve discussed here. Could you knock off 40-60% from what you typically spend? I am sure of it. After Christmas sales can help save you big-bucks in the next year. Read to find out how it will save you in ways you might not have thought of before. There are two ways that you can take advantage of post-holiday deals. One way is to buy products to use for the next holiday season, and the other is to buy products that you can re-purpose for use throughout the next year. Stocking up on decorations and products for next holiday season at 75% off or higher is a no-brainer. You can gauge how big your child will be next Halloween season, and snag a costume right now at a huge discount. What about a fancy pumpkin carving kit? Decorations are a great choice as well; perhaps you want to deck your lawn out with white reindeer and enough lights to put Clark Griswold's house to shame, but you don’t have the several hundred dollars to pay for it this year. Wait until after Christmas and take advantage of 75%-90% off! Go ahead and stock up on festive napkins, bulbs, cornucopias, and spider webs. This is an even better way to take advantage of post-holiday sales. Here are some ideas to get you started. Purchase candy (with non-specific candy wrappings) to stuff into stockings for Christmas time. Votive candles and small candles generally used for lighting pumpkins can be used throughout the year in candle sconces, fireplaces, etc. Pumpkins that you used for decoration (but did not carve) can be cooked, pureed, and frozen to use for recipes. Dry out gourds and use them for Thanksgiving centerpieces. Purchase Hershey’s Kisses to use in cookie recipes for Christmas and beyond, such as Peanut Blossoms (my favorite!). Before and after Thanksgiving you can find coupons and sales for many food items that can be used for the next year (or until they expire), such as canned pumpkin, cranberry sauce, turkeys (freeze), stuffing, etc. Paper products, such as paper plates and napkins, go on sale around this holiday and there are usually coupons that come out as well. Stock up now to use for birthday parties, barbecues, housewarmings, etc. Also, aluminum foil sales abound. Think baking supplies: stockpile butter (you can freeze), chocolate chips, sweetened condensed milk/evaporated milk, sugar, flour, etc. Ham goes on sale before and after the holidays; purchase an extra one or two and put it in your freezer. After the Christmas season, purchase red wrapping paper and ribbons to use for Valentine’s Day or birthdays, and other neutral wrapping paper colors for events throughout the year. Shopping after Christmas is a super-easy way to save on birthday gifts throughout the year. There are many, many ways you can use the items you purchase at 70%+ off to help you save BIG all next year long. Like many others, this is a time of year when we purchase lots of lovely gifts for loved ones on top of purchase travel to actually spend time with them. Since we live just 40 minutes from all of my husband's family, I like the three of us to take the cross-country trek to spend Christmas with my side in PA. Flying to spend time with family is hardly an original idea, which is why airline prices naturally rise this time of year. While I counter the cost of airfare when I can with travel hacking (in recent years I've scored almost free tickets to Michigan for Thanksgiving and to PA for my brother's wedding), it's already early November so we're a little too late to plan and execute that strategy. So I've been stressing a bit as to how we're going to come up with airfare + enough money for gifts + finish maxing out our two Roth IRAs for the year (a girl has to have her priorities, right?). I know…normally I'm more of a planner when it comes to saving money. For example, we have automatic month withdrawals to both of our Roth IRA accounts that will make sure we max those out for the year, plus we automatically withdrawal several hundred each month into an account for large expenses. But this year with transitioning into a Work-at-Home-Mom with a now 1-year old, saving ahead of time for the holidays + travel just hasn't happened. So you can't believe how surprised and happy I was when I got a text message from a free tool I skeptically signed up for earlier in the year congratulating me on reaching $509.97 in a savings account with them. Just sitting there, unaccounted for, waiting to be used. Sweet. Digit is a company that monitors your checking account and then makes small withdrawals of money from it straight into a savings account for you. When I ran across them, I thought it could be icing on a decently healthy savings cake. Like I said earlier, we already have automatic withdrawals to both our Roth IRA accounts, plus to regular savings. And things are pretty tight with our built-in savings model. So I was curious as heck to see if this little savings engine could really do anything significant for us with what's left. That $509.97 that this savings tool set aside for us? It all came in just the past two months − between August 25th and October 24th to be exact − with an average of $18.21 taken out on each withdrawal. Psst: And that was including us withdrawing $150 during that time period. In other words, this free tool solved a problem for us. Now that's worth talking about! You've seen my results. There is still time for you to make a meaningful impact towards your holiday budget using it as well. However, using Digit doesn't guarantee you'll be able to save over $500 between now and Christmas. I mean, you have to have the money in checking to begin with. 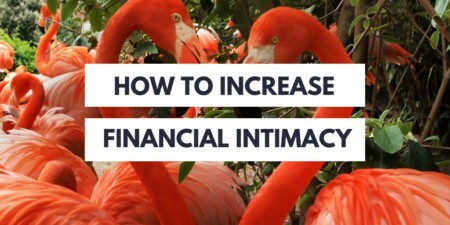 But I think you'll be very surprised, as I was, with how quickly money can accumulate into something meaningful when someone, or something, continually adds small amounts to it. No-Overdraft Guarantee: Do you feel like this might take things out of your control? Check out Digit's No-Overdraft Guarantee on their FAQs page. Savings Bonuses in Lieu of Interest: A con to using Digit? You won't earn any interest on your savings kept in their account. That's their business model − they save it for you automatically, and they earn the interest. However, they do give you Savings Bonuses. Every three months you earn a little bit ($0.05/$100 saved, based on average Digit balance over the last three months) for keeping your money with them. Pro Tip: A workaround? Whenever you get a “significant” amount saved up, you can always move it back to checking and transfer it to your high-interest savings account. FDIC-Insured: Yes, your savings account with Digit is FDIC-insured up to $250,000. Are you ready to take Digit for a test drive and see what they can do for your savings goals? And by the way, what is your savings goal? I'd love to hear all about it in the comments below.